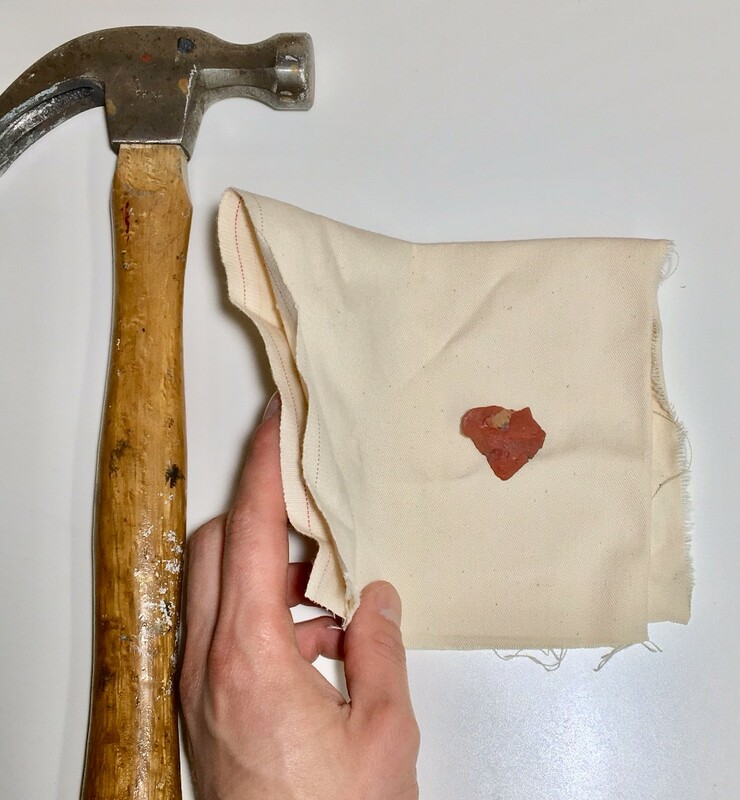 Place a small piece of your stone inside the folded piece of canvas and strike with a hammer until pulverized. Be sure to do this on a durable surface like the sidewalk! 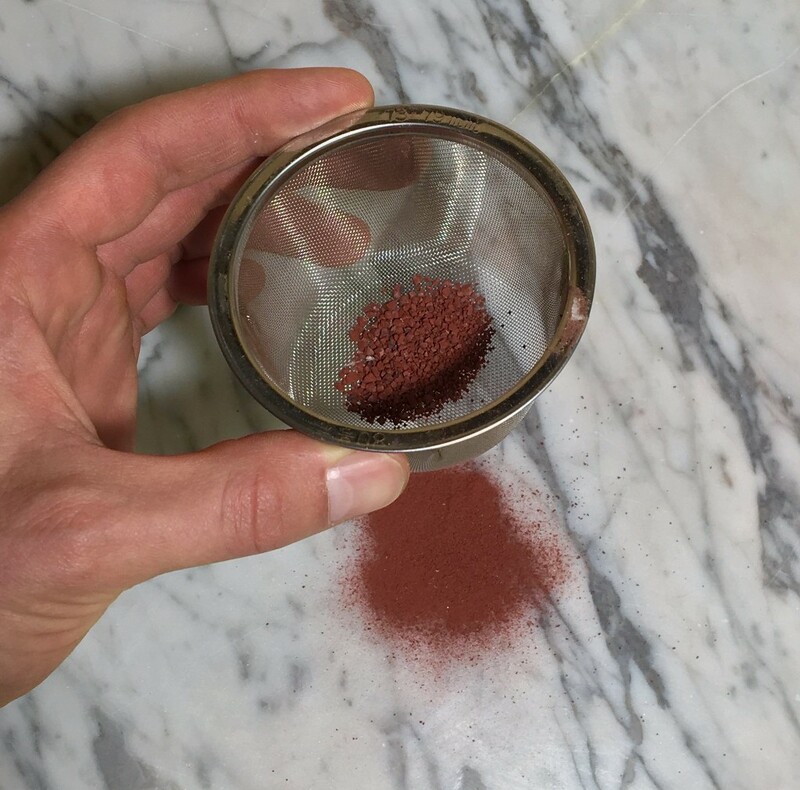 Working on top of the glass palette, sift the crushed stone through the metal sieve ( < 80 or < 63 µm) so the finest particles deposit onto the palette below. Repeat this until you have enough pigment. 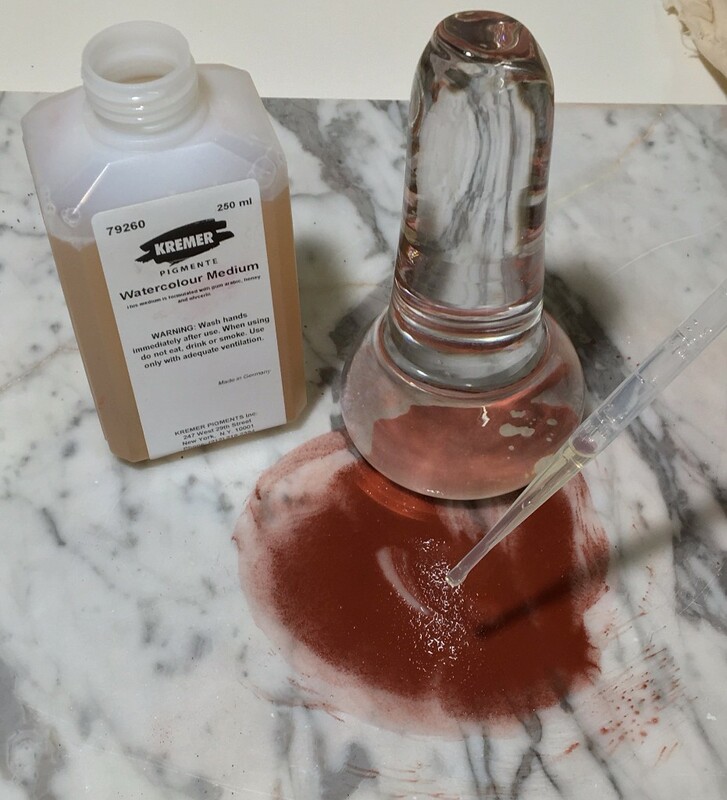 Add a few drops of water to the pigment and mull into a smooth paste. Try not to make it too watery. 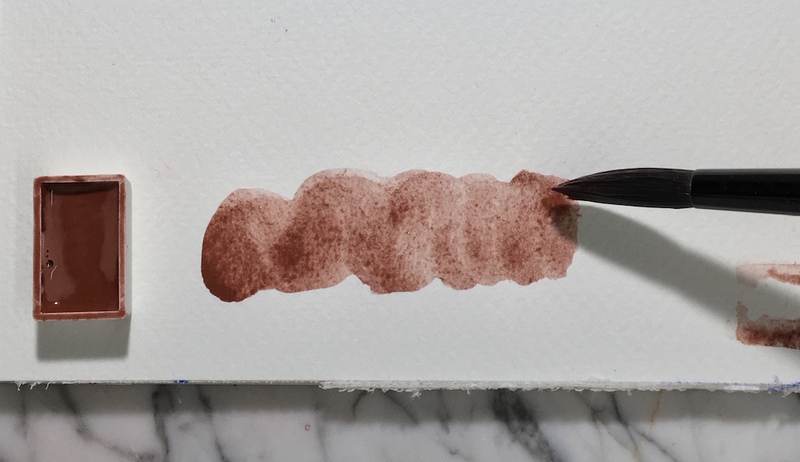 Add the watercolor medium drop-by-drop while mulling the pigment until you begin to feel a slight tackiness or resistance from the paint. If you have a scale it's helpful to measure the weight of your pigment and binder. A full pan of most earth watercolor typically uses 5-7 grams of pigment and may contain between 2-4ml of watercolor medium. These ratios vary by pigment and can only be properly determined by testing your paint as you go. Simply paint a swatch, (not too thick) onto a piece of paper and allow to dry completely. Rub the surface of the paint with a dry finger and see if color rubs off easily. If so, you may need more binder. If you have too much medium you will notice that the surface is shiny and sticky even when dry. However, you can scoop out the paint and add more pigment or binder as needed. Trial and error! 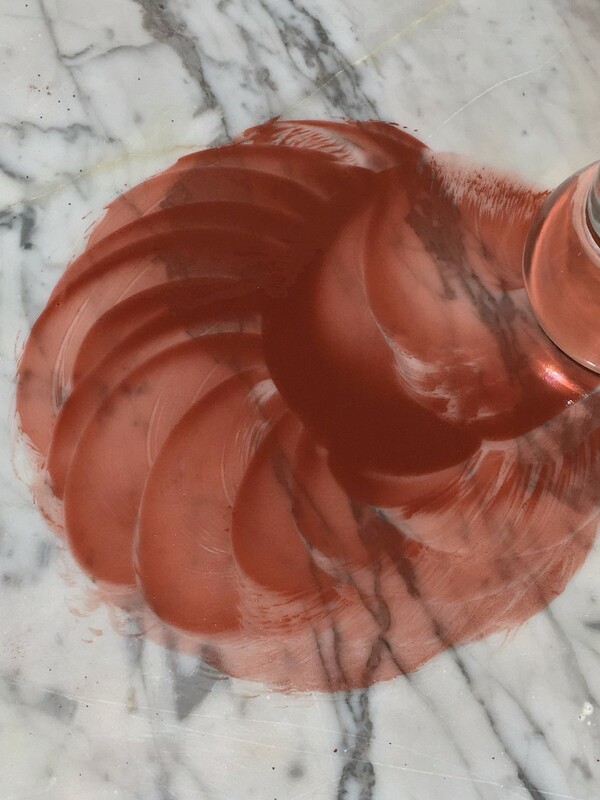 Transfer the paint to an empty watercolor pan, bottle cap, or other small container. This process may take multiple sessions. As the watercolor cake dries it will shrink and condense. To make a completely full pan, you can make it in layers, allowing the pan to dry thoroughly (a few days) after each addition. The liquid paint can be kept in a small jar and may have to be stirred up before filling it into pan. We also use syringes to store small amounts of paint until the next layer can be filled into the pan. Not every natural material is harmless. 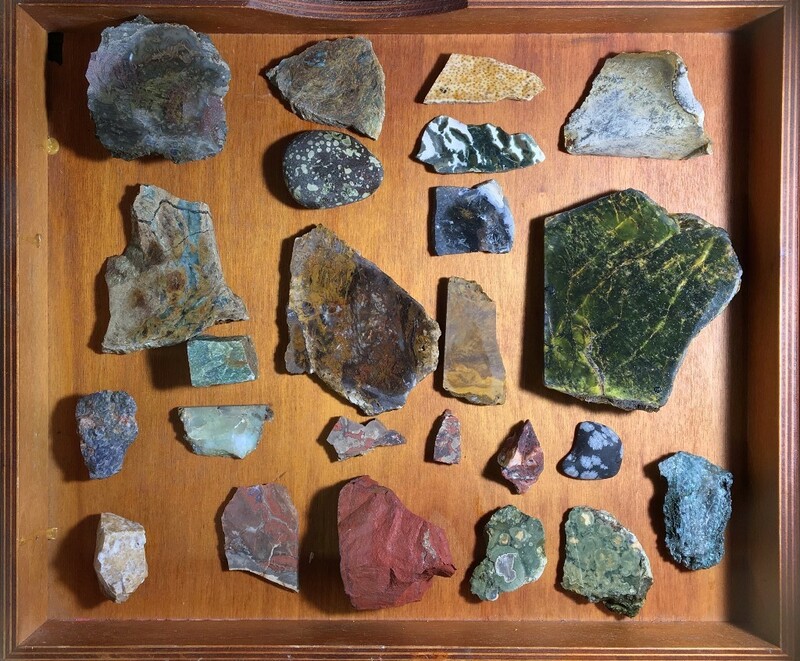 This includes mineral pigments and earth colors, which may contain hazardous components. When working with fine mineral dusts, we do recommend to use a respirator or dust mask. Particular caution is recommended when working with fine quartz particles, needle-like, fibrous or toxic minerals.